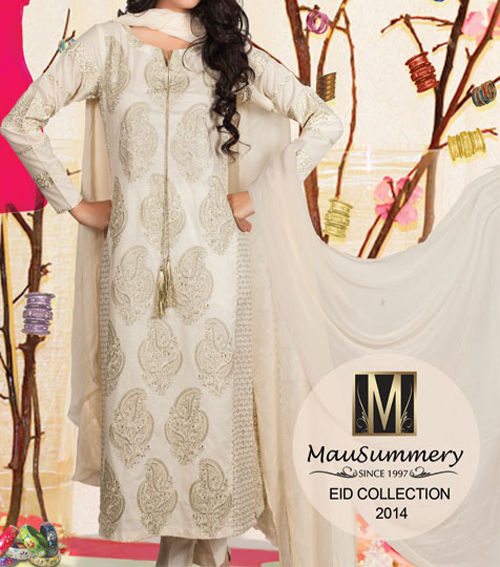 Mausummery is one of Pakistan’s leading lawn brands. In its 15th year, Mausummery enjoys a huge fan following globally & is available all across Pakistan. 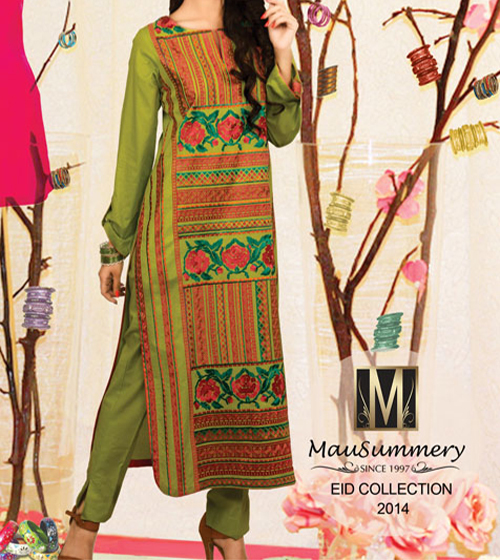 Following are few pictures Pakistani Branded Mausummery Lawn Eid Collection for women 2014 Suits for your review. Of course these changes from time to time depending on the latest arrivals, demand and Latest Fashion Trends in Pakistan.